SUGAR LAND, Texas — (BUSINESS WIRE) — July 28, 2016 — Submissions are now open for the 2016 Construction Intern Awards. Construction software developer HCSS ( www.hcss.com) will be awarding a total of $50,000 in college scholarships to students in construction-related fields. The top winner will receive a $10,000 scholarship. In addition, four finalists will each receive a $4,000 scholarship and 12 honorable mentions will be awarded a $2,000 scholarship. Founded in 1986, HCSS is a leading provider of software solutions for the heavy/highway/utility construction industry. 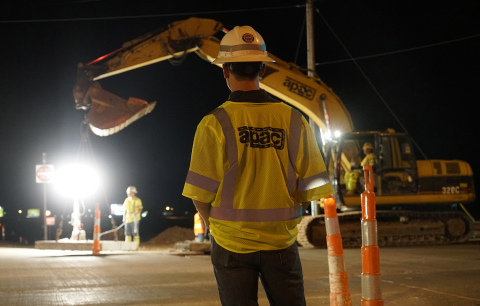 More than 40,000 professionals rely on HCSS software every day, including the bestsellers HeavyBid® and HeavyJob®, to improve their proficiency at estimating, job management, resource management, safety and equipment maintenance. HCSS also offers mobile applications and cloud computing services to allow companies flexibility in the latest in information technologies. In addition to high quality software, HCSS is best known for providing world-class customer service with professional implementation planning, training and instant 24/7 phone support. HCSS is located at 13151 West Airport Blvd., Sugar Land, Texas, 77478. For more information about HCSS and its complete line of estimating, field management and resource management products, visit www.hcss.com, call 800-683-3196 or e-mail Email Contact.